What's wrong? Upload works fine...? Same call same passwd? It is set at eqsl/settings there. 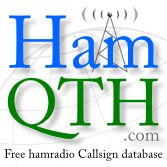 I have a similar issue, but this time it is not solved by putting the QTH nickname correct. When I paste this in my browser, I get a valid response, i.e. a html page opens where I can download an .adi file. Anybody an idea how to fix this? Ok, found the problem, although I do not completely understand it. I had a password ending with an "&" character. This is used as an escape character in url, and apparently caused the problem. Don't understand why it works on uploading, and gives problems on downloading??? Anyway, changed the password (now without "&") and now it works. Difference in up and download is that upload uses POST method and download GET method that may make the &-effect.